Read About Sailing Yacht Designers and Builders here. Abeking & Rasmussen make well-known large sailboat yachts with a range of traditional, cruising, and racing designs. Aerodyne Yachts design performance Cruisers for unlimited offshore use. Rodger Martin. Fast, comfortable and very easy to sail shorthanded. The concept behind Alerion is boats classic shape and modern speed. Built by TPI Composites. Alliaura is a manufacturer of sailing catamarans and is based in France. Archambault make the 21' - 25' Sprinto, Sprint, and Surprise sailboats. Based in France. Baltic design modern custom sailboats, yachts and gear. Bavaria Yachts is a large German based builders and designers of cruising Yachts 32 to 50 feet. Production boats are Lloyd's Register LRQA Offshore certified. Bavaria yachts are increasingly being used as great charter boats, particularly in the bareboat market. Bavaria has raised the level in building efficiency and value for money. Beneteau took cruising boats and yacht charter to a new level. Beneteau are now designed by some world-class designers, such as Bruce Farr. Every Beneteau sailboat is built on a tradition of quality, safety and stability. Beneteau range includes the First series, Oceanis series, and also custom designs. Most people involved in yachting or yacht charter will have heard of Beneteau. Melbourne Australia based yacht building company specializing in construction of racing/cruising yachts from plan to completion. Blue Water Boats is an Argentinean builder of 34' - 53' semi-custom steel sailing yachts and 35'-40' steel motor yachts and trawlers. A traditional design by Joel White, built with pride in Brooklin, Maine by Bridges Point Boat Yard. Cornish Crabbers traditional gaff rigged craft from 12' to 30', the unique Britannia Boats Folding Dinghy and Rob Humphreys innovative high performance sportboat kits. C and C Yachts are the maker of racing sailboats, including the Xpress Series, a sleek and refined line of racer/cruiser that exemplifies a hybrid of engineering and technology. Cabo Rico make beautiful, strong, safe sailing boats 34-52'. Cabo Rico, Cambria, and Northeast motor sailers designed by Mark Ellis, as well as Chase semi-custom sportfishing boats designed by the firm of C. Raymond Hunt. Is a one hundred year old New England builder of 9 to 44 foot boats. Also does restoration. Catalina Yachts have 22' - 50' cruising yachts and monohull sailboats. Catalina Yachts were some of the first yachts to be used in the modern yacht charter industry and are still frequently used. Contest Yachts are builders of fiberglass sailing yachts; ranging from 38 to 62 feet. Yard based in Medemblik, Holland. Boat builders in Cornwall produce traditional, quality sailing boats for over 25 years. Our Deerfoot and Sundeer design series of cruising yachts have set the standard for safe, seaworthy, and comfortable passage making. Degero boatyard builds sailboats 33' to 35'. European import now manufactured in the US. 29'-41' cruising sailboats. Netherlands builder offers 29 through 41 foot racer-cruisers. Bruce Farr is famous as a world class racing and cruising sailboat designer. Farr’s past achievements are too numerous to cover here but include many a successful ocean going racing yachts, Americas Cup yachts and super yachts. Farr is currently head designer for Team BMW Oracle. New Zealand based. Dufour Yachts is a large builder of 37 models including the Duo, Classic Dufour, Gib Sea, and Atoll sailing yachts, and Nautitech catamarans. Dufour Yachts is based in France. Greg Elliot is well known for performance racing yachts which have had great results in many races. Elliot designs family sailboats, racers, and also custom yachts. Elliot is New Zealand design at its best. Greg Elliott. Belgium unsinkable trailerable yacht builder. Involved in the development of classic sailing yachts since 1942. Manufacturer of Fantasi 44 and Fantasi 37. Located in Sweden. Ideal boat for performance-minded cruising sailors looking for safety, speed and longevity. Constructed with the latest all-synthetic core technology, the current production Fast Passage 40 is an outstanding value. Room, comfort, and stability, as well as speed. Her safety rests on ease of handling, positive flotation, and unmatched construction. Designed by the late Gordon K. "Sandy" Douglass. Newport, Rhode Island builder produces 35, 40, and 45 foot unstayed sailing yachts. Maine boatbuilder of custom yachts and the Great Harbor 26, a trailerable sailing mini yacht. Hallberg-Rassy is a famous yacht designer. There many models of Hallberg-Rassy sailboats that have been very successful. Traditional cruising-yachts designed and built for blue water cruising. Antwerp, Belgium. Producer of both sailboats (the Sou'wester 42-70) and powerboats (The Hinckley Picnic Boat). Hunter Boats has been building boats for 30 years, including a full range of sailing yachts and racing sailboats. UK. Recreational sailboats from 9-50 feet. Florida based manufacturer of classically styled 32 to 42 foot cruisers. French manufacturer of J boats. Jeanneau make many very well designed charter boats, often used for bareboat charter. Jeanneau is a French builder of the Sun Fast and Sun Odyssey range of sailing yachts as well as custom sailboats. Builders of steel and aluminum motor and sailboats. French manufacturer of sailing yachts from 30 to 40 feet. Includes descriptions and pictures of models built and dealer locator. Designer and manufacturer of all steel hull and deck, sail and power luxury yachts. Lagoon make large modern well designed sailboat cats which are great for cruising and yacht chartering. Lagoon are now making power boat catamarans too. 33 and 35 foot version for the sailing family and for racing. Designed and built at Rosättra Boatyard. Italian builder of the Mono22, a monotype regatta sailboat, and the MonoJunior. Building and selling small sail craft - production and one-off. Vikingship double enders and 2.4m sailboats. Malö Yachts are one of Scandinavia's oldest, most experienced yacht builders. 36'-45'. The evolution: For the last 20 years, our total focus has been to perfect the construction of racing yachts. Throughout this era we have been at the rapidly developing forefront of high tech construction, pioneering the advance of super strength materials and techniques from (now) primitive kevlar & carbon fibre to the latest methods of autoclaved pre-pregnated high modules carbon materials. Now, our goal is to combine our knowledge and experience to build the ultimate performance cruising yachts. Martin 16 , Nelson Marek 36, "The Best Value In Grand Prix IMS Performance", and Martin 243. The finest sailing and motor yachts built from mahogany and teak. A detailed photographic narrative from conception to testing to final construction of beautifully designed and finely crafted German yachts. No English translation, but the work is very well presented and truly speaks for itself. Makers of the Melges 24, 30, X-boat, and Scows. Racing sailboats that range from 16 feet all the way up to 38 feet. Performance and quality are built into every Melges Boat. Zenda, Wisconsin. British builder of top-quality custom yachts and sailing cruisers. Ease of handling is a Moody hallmark. "These yachts can spin on a sixpence, should you need to." 38' to 56' custom and semi custom blue water cruisers. Fifty-five to seventy foot high quality monohulls. Mystic Yachts enlisted the services of two of the world's finest naval architects, Ed Dubois and German Frers. The result is a range of highly individual blue-water sailing cruisers whose timelessly elegant lines are complemented by the latest labour-saving technology both above- and below-deck. 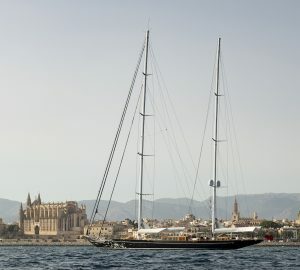 One of the most famous of the renowned Orust yacht builders. Yachts of the hightest quality, built according to tradition. German builder of a three man keelboat, the Streamline, using high tech construction, with strict matchrace class regulations. Nautitech catamarans design leading catamarans that are being used successfully as charter boats. Nautitech is based in France. Manufacturer and designer of the famous Swan sailing yachts. Swan sailboats are quality cruiser/racers from 40” to 112”. There are many swan charter yachts operating around the world. There are few sailors or yacht charterers who have not heard of, or even had the pleasure of sailing on, a Nautor Swan yacht. Next Generation Yachts are makers of 40' - 60' semi-production Sailing Yachts. Next Generation Yachts are New Zealand and have some beautiful sailboats..
Makers of Vancouver, Fisher, swing keel Southerly monohull and Freebird multihull sailing yachts. Manufacturer of the Ocean Star range of hand crafted luxuary sail yachts. Models range from 48'-56'. The unique One 40 features a versatile selftacking sail system, a freshly designed open cockpit, wrap around view, swing-up tilting keel and limited heeling with a canting keelweight. The Outbound 44 was developed for sailors who are accustomed to the performance of their coastal and PHRF style boats but are now looking for a serious offshore passage maker. Well over 2,000 Pacific Seacraft yachts, from the mighty Flicka to the stunning Pacific Seacraft 44 have been sailed with confidence and comfort to the far corners of the world. High quality semi-custom and custom yachts in steel, aluminum and strip plank wood core. Builds J boats and custom built yachts. Includes company information and boat construction, specifications, and photos. Cape Town, South Africa. A fast 16' hydrofoil daysailer by Windrider. Designed by Dr. Sam Bradfield. Decksalon Yachts from 38" to 43" from the famous boat builder island Orust in Sweden. The amenities of a big boat in a small boat that is easy to rig, easy to trail, easy to sail, comfortable, and attractive. Custom sailing and motor yachts 18-55 metres. 36' to 45' Sabre Sailboats as well as Sabreline Motoryachts. Design by Jim Taylor Yacht Design. 35' and 43' cruising sailboats. Saga touts their "Variable Geometry Rig" as "easier to steer even when pressed hard on a tight reach" than conventionally rigged boats. Larger cuising sailboats and classic Coastal Flyer power yacht. Cruising sailboats including the Sceptre 43 and Sceptre 51. Scruffie builds and designs traditional wooden boats. Our boats can be built ready-to-sail or you can build one yourself. Dudley Dix designed bluewater cruising yachts. Capetown South Africa. Performance sailing in less than 3 feet of water, the Shoalsailer 32 Beachboat built by Shannon Yachts is the ultimate in coastal cruising yachts. Manufacturers of round bilge blue water steel cruising yachts, canal craft and Dutch barges. The traditional Skimmer 25 is a modified sharpie, built along the lines of the famous Commodore Monroe Presto boats. Handcrafted, quality constructed performance sailboats from 35 - 46'. Antrim 27 weekender and Ultimate 20 sailboats. 39' - 50' sailboats designed and built for the real world of offshore live-aboard cruising. Texas. The W-Class racing yachts (46', 62', 76', 105', & 130') are designed using traditional lines, resembling the NY 50 but are enhanced with modern design and building techniques. Beautiful larger sailboats which have won many awards. Latest motor boat. A few Wally sailboats are offered for charter. Sailboats from 65 - 150'+. Custom designed steel sailing and motor yachts from 33 to 67 feet. Centurion 48 - 60' and Wauquiez 43 -60' Pilot Saloon cruiser sailboats. France. Working Sail are boat builders and designers of classic wooden pilot cutters. Luke Powell the designer bases his designs on the lines of historic pilot cutters from the Isles of Scilly, a group of islands in Cornish waters lying at the entrance to the English and Bristol channel. These sailing working boats of the nineteenth century adapt beautifully to yachts due to their excellent seaworthiness and good sailing performance. X-Yachts are performance driven modern cruising sailboats with lovely lines. Denmark.